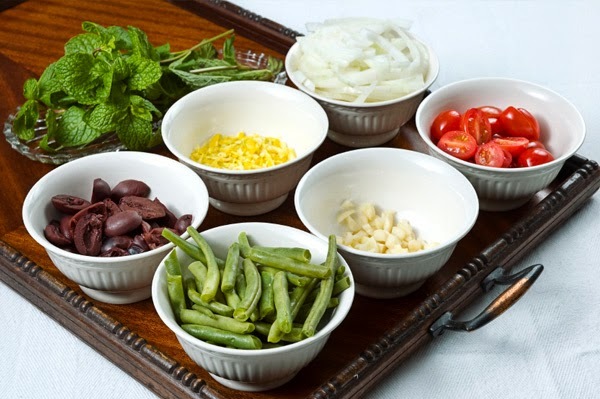 I first learned about the concept of mise en place when I read 20 Ways To Find Joy In Every Day on Oprah.com. To "prepare" is the first way to find joy and chef Thomas Keller wrote that practicing mise en place leads to "the joy of knowing you're ready for anything." And, "the better you prepare, the better you will be." Well, count me in! Mise en place is French for "put in place." Reading chef Keller's article was an ah-ha moment for me ... I immediately realized I had it all wrong in my approach to cooking. And, that if I applied this principle to other areas of my life besides cooking, I could create more joy. Not only am I a better cook, I also enjoy the process of cooking more as I don't have to scramble to get ingredients together while I'm cooking (it's all about timing!). It's actually helped me to be a more creative and playful cook by visually allowing me to see what the dish will become with all the ingredients laid out and prepared before I start. Which then lead to adapting recipes and even creating some of my own. It's the 1st thing on my morning to-do list ... reflecting on my day's events and deciding what mise en place needs to be done so that I have relaxed, joy-filled experiences. Setting the dinner table before I start to cook, as well as prepping all the serving dishes and platters. Taking care of Indigo & Lily. Preparing for meetings and work for the day. Figuring out what to wear every day (not my favorite thing to do). 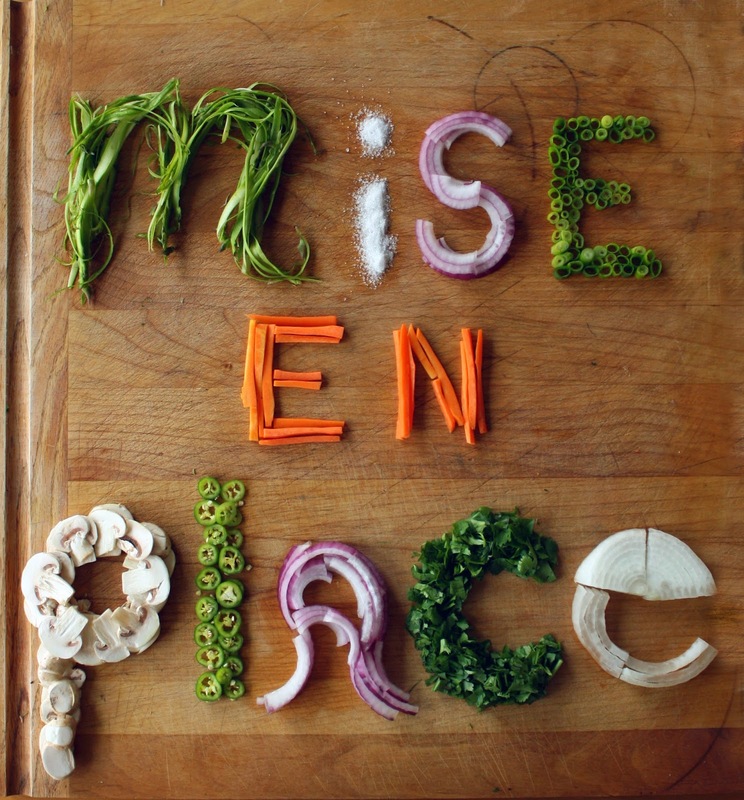 How has mise en place helped you in your life? I'd love to hear from you!